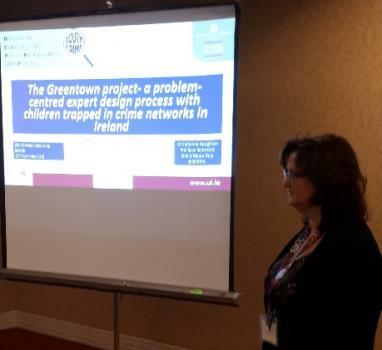 Dr Catherine Naughton REPPP, presented the Greentown Project and Intervention Programme Design at the10th annual Illicit Network Workshop hosted by Central Washington University in Seattle on the 12th of November 2018. The Illicit Networks Workshop initiative is a group of scholars and analysts from across the world who share a network perspective in furthering the understanding of the activities of individuals, groups, and organizations engaged in co-offending, organized crime, gangs, transnational crime, financial crime, terrorism, corruption issues, and cybercrime. While some members draw heavily on social network analysis, others rely on other methods qualitative methodology to study illicit networks.